By August 1992, Ramon Jimenez had it going. His offensive exploits had won him the "Batter of the Week" hitting for the Carolina League's Prince William Cannons. Also by August 1992, for Jimenez, the offensive show was too late. 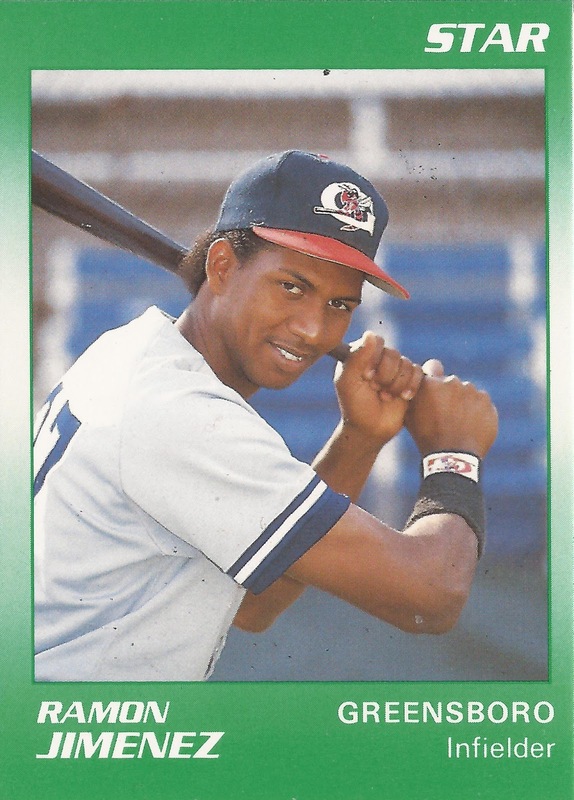 Signed by the Yankees as a free agent out of his native Dominican Republic in 1986, Jimenez started rookie league ball the next year for the Gulf Coast League Yankees. He hit .207 that campaign, returning to the team for 1989. 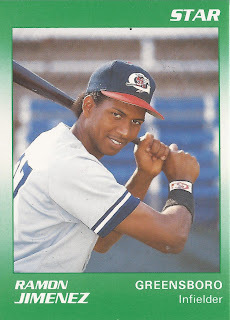 He hit a little better, .268, earning a promotion to single-A Greensboro for 1990. At Greensboro, he had his best hitting year of his minor league career, still just .279. But it was downhill from there. A promotion to high-A Prince William for 1991, Jimenez hit .254. Going into the year, Jimenez was being counted on for "jolts of power," according to the Fredericksburg Free Lance Star, which noted he put up 10 home runs at Greensboro. In one May 1991 game, Jimenez had a pair of doubles, in an August 1991 game, Jimenez had three hits, scoring twice. But Jimenez showed few other jolts of power, hitting just two home runs on the year. Returning to Prince William for 1992, Jimenez' hitting drop continued, despite his hot August. He hit just .234 and his time in organized ball was over, never getting above high A.